I write to you today, shortly after the one-year anniversary of Hurricane Harvey and its effects on Camden Spring Creek. We have since re-built and are stronger, wiser and more complete than we were a year ago. That morning our residents were awakened to our tow truck driver repeatedly beeping his horn. The parking lot had started to fill with rising rain waters on one end of the community. Our residents were notified to either leave the community while the freeway was still accessible or to move their cars to higher ground. 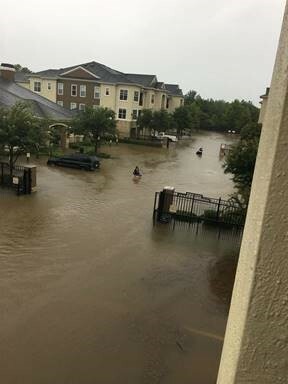 The day before, our residents and others in our zip code were sent a text message that “If you plan on evacuating you are encouraged to do it”. We were by no means were under a mandatory evacuation so many of our residents stayed in their home. 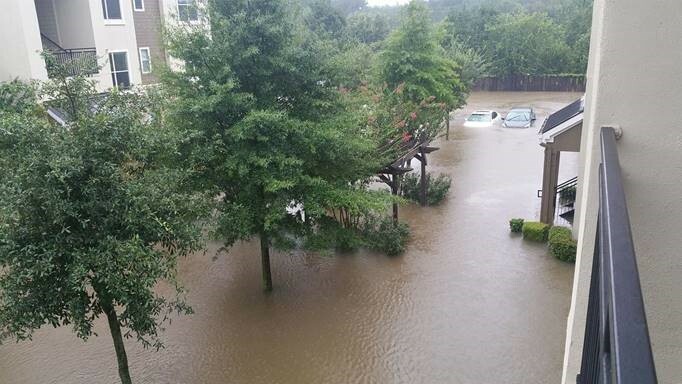 Camden Spring Creek has never experienced any flooding during its 12 years in Houston. When our courtesy officer called me the morning of the 28th, I asked the tow truck driver to act fast and notify as many residents as he could. Most, in a panic, moved their vehicles to higher ground near Camden Spring Creek. Many believed the water level would recede since the rain had stopped earlier. Unfortunately, our community’s parking lot continued to flood. Just two weeks earlier, I, the Community Manager, had made the decision to take a leave of absence for a surgery I could no longer put off. When Harvey hit, I was devastated. I was in no means physically or emotionally to be able to help my residents or community that I have called home for over four years. Throughout the storm and its aftermath, I posted repeatedly on MyCamden with updates and emailed and spoke to many worried residents that had decided to leave the community. As the morning hours continued, the water kept rising and had now made its way onto patios and the many green spaces throughout the community. We knew we had to do something since the water was not receding. The decision was made to open up all 2nd and 3rd-floor apartments to our 1st-floor residents. To move them to higher ground quickly, they could only bring medications and immediate necessities. You won’t be alone, but you will be safe. Our only Camden employee who lived at the community waded through high water and unlocked every apartment home that was vacant on the higher floors. When she let me know that the water was getting rougher, I instructed her to stay out of danger and head back to her apartment safely on the 3rd floor. She denied and stated, “Mary these residents are going to flood. I have to keep going. I have to give them somewhere safe to take shelter.” I would have done the same if I was able to be there. On August 30th, we were finally able to access our community. Some had 6 inches of water; others had feet. All were hit hard. 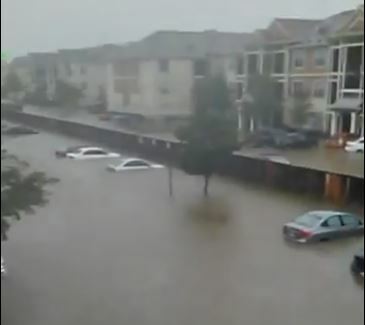 Seventy-five apartments were affected by the floods from Hurricane Harvey. Several of our team members cried with our residents who were forced out of their homes. Some with nothing but a few belongings left. In true Camden fashion, we came together to help our residents and our community. Team members from Atlanta, Tampa, Orlando and from our very own in the great state of Texas came to help clean and rebuild. Our contractors were some of the very best and worked with our residents with respect, kindness and genuine sympathy. On October 27th, we had our first residents move into our 1st-floor apartment again. Many residents came right back home to their once flooded apartment home. One impacted resident had lived here with her husband since the community was built back in 2005. Her husband had passed away a few years ago and she couldn't leave their last home together behind. The one they had made memories in for the last 12 years. She came back to her home… She came back to Camden. With our deepest gratitude, we thank our Camden family for all the support. Numerous team members from varying communities, departments, and states helped in EVERY way they could. Our Camden Family is one of the strongest. 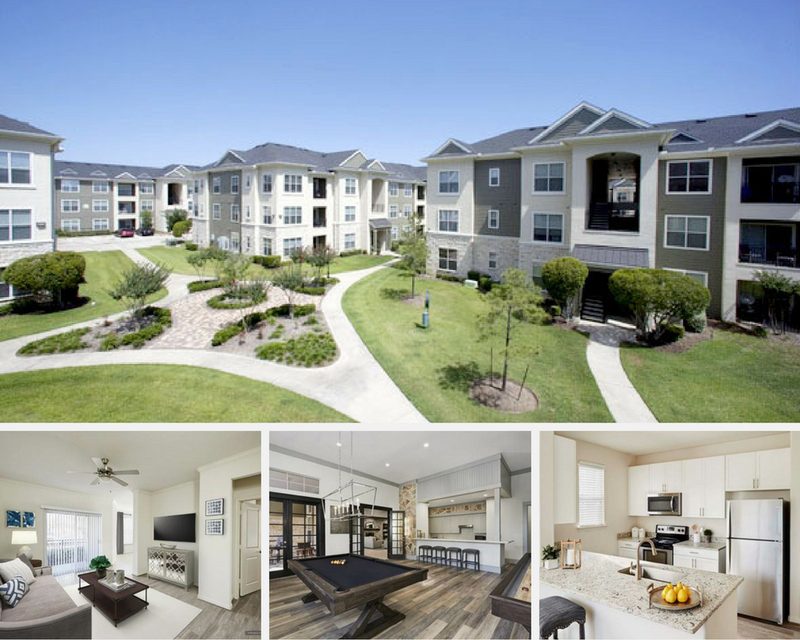 We pushed harder than any other property management company and showed our residents the true value of Living Excellence. We waited on no one. Now a year later, many still thank us today for the effort we put in during Harvey. Camden Helps Clean the World!